The Pentel GraphGear 1000 mechanical pencil is a superior drafting pencil for architects, draftsmen, artists and enthusiasts. The 4mm tip design makes it ideal for use with rulers and templates. 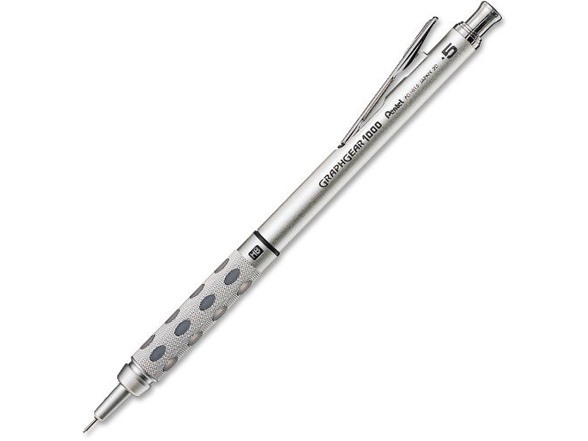 A unique, dual-action retractor advances and retracts the pencil tip to protect lead from breaking. The built-in lead hardness indicator allows you to easily identify your lead type. It comes pre-loaded with Super Hi-Polymer HB lead, which never needs sharpening and produces a clear dark line.